Did uncle Claudius really kill Hamlet's father? Is the ghost even haunting the right castle? Some original Shakespearian language is used, but in a manner that is accessible to all, kids in particular. Follow the links to read more about the plays or buy in other currencies. 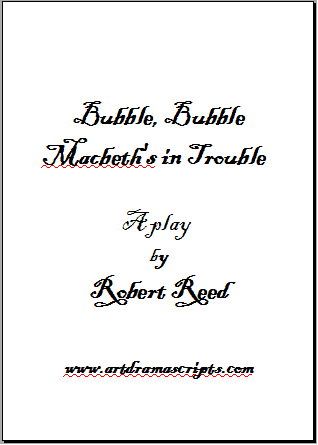 Scroll down to buy just one play script in US$. 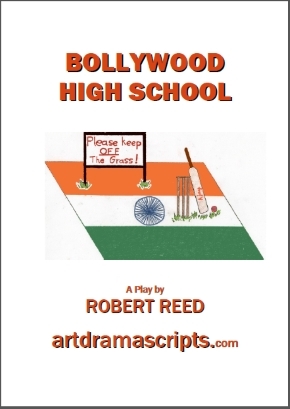 The play script adds comedy to create a spectacular show. The evil sorcerer tricks Aladdin into entering a cave to possess a magic lamp. But things don't follow his plans and Aladdin ends up not only alive and well, but owner of the lamp. Aladdin dresses a woman and performs a belly dance to see the beautiful Princess Yasmeen. Aladdin marries Yasmeen and lives a life of luxury, but what will the evil sorcerer do when he discovers this? Read online excerpts from the ALADDIN script and more details about the play. 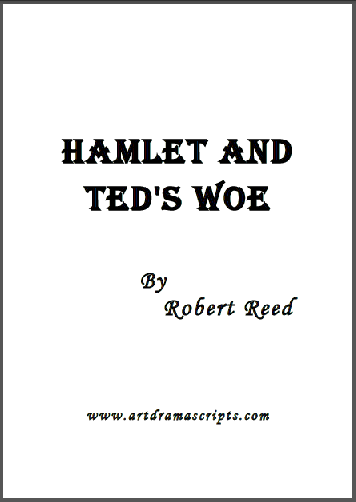 The play "Hamlet and Ted's Woe" is a parody of Shakespeare's Shakespeare's greatest tragedy play of all time. which aims to incorporate comedy, suspense and action all into an exhilarating play. Read more about the script. Also follow the link to buy in £ or AU $. This play is suitable for children 11-13 years old. Also available "Macbeth: Happily Ever After", a version for 13-16 year olds. Buy in £ or AU$ and read script samples - click here. A humorous look at how not to win the affections of a girl in school. Comedy play script with the theme of listening to the advice of elders. The script refers to suggested Indian music which would enhance the performance, especially if accompanied by Bollywood style dances. 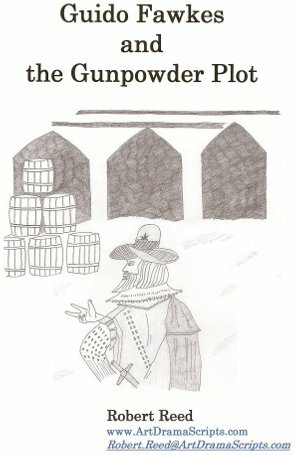 Everyone knows that on 5th November there are bonfires and fireworks to celebrate Guy Fawkes' failure to blow up Parliament. But, was his real name Guy and was it just a plan to blow up a lot of important people, or was there more to it? And, why did five blokes in a pub decide to blow up Parliament anyway? Were Early Seventeenth Century entertainments so boring there was little else to do for fun? Finally, was Guido just a nutter who loved blowing things up? All will be revealed in this play. Drama script in more detail at GUIDO FAWKES. 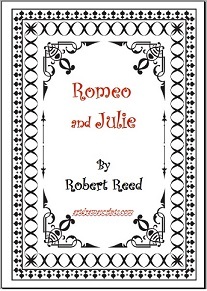 Buy the Romeo and Julie play script in £ or AU$, read more information about the play and read script samples. More excerpts from the play script. dramaclasses.biz Directory of drama schools for children and adults, part-time and full-time courses, drama resources.